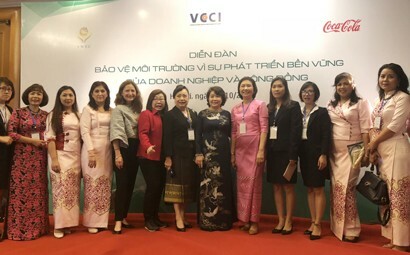 This is the message delivered by Deputy General Director Hoang Van Thuc of the Vietnam Environment Administration under the Ministry of Natural Resources and Environment at the “Environmental protection for sustainable development of enterprises and community” Forum, held in Hanoi by the Vietnam Women Entrepreneurs Council (VWEC) and the Vietnam Chamber of Commerce and Industry (VCCI), in cooperation with Coca-Cola Beverages Vietnam Co., Ltd. On the sidelines of this event, Vietnam Business Forum Magazine has an interview with Mr Hoang Van Thuc in regard to this issue. Thu Huyen reports. What do you think about the roles of businesses in general and of women entrepreneurs in particular in environmental protection for economic development? 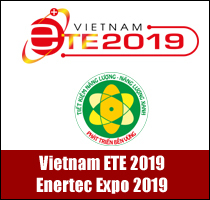 The current development of the Vietnamese economy is hugely attributable to public, private and foreign-invested enterprises. 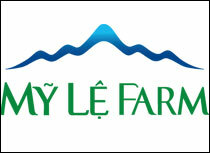 Over the past 30 years, Vietnam has grown from a backward agriculture-based country to a middle-developed economy. Enterprises in general and women-led enterprises in particular are greatly engaged in this development. Many of the country's more than 600,000 enterprises are women-owned. Female entrepreneurs have gained knowledge and experience in economic development, environmental protection, governance and technology. Especially, in environmental protection, women-owned enterprises have complied with environmental protection laws. Coupled with the country’s economic development, environmental protection has been further promoted and women entrepreneurs’ roles are increasingly important. In practice, we highly appreciate their roles in environmental protection. How should enterprises promote environmental protection? The content of sustainable development means that when enterprises are engaged in economic development and material production for society, they will discharge waste into the environment and such waste must be treated. To protect the environment, they must comply with environmental protection laws so that waste must be thoroughly dealt with. The Ministry of Natural Resources and Environment, its affiliates, local authorities and particularly the business community, must have a high sense of responsibility in environmental protection. What should be done to limit environmental emissions? We are entering the era of Industrial Revolution 4.0: Developing circular economy, green economy, a low-waste economy to protect the environment. That requires responsibility from businesses. At present, getting involved in the wealth generation that drives the economy requires a much higher level of responsibility than in the past decade. 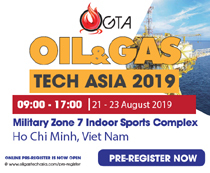 Therefore, in addition to innovations in technological investment regulated and encouraged by the Ministry of Natural Resources and Environment, enterprises have to seek modern environment-friendly technologies. They must be responsible for treating wastes so as to recycle and recover renewable energy or resources to minimise environmental emissions. How have you engaged more women entrepreneurs in environmental protection for sustainable development? The Ministry of Natural Resources and Environment has introduced many solutions to set general directions for environmental protection for sustainable development. But, to do that, the first step is to raise the awareness of the people and the business community, including women entrepreneurs, in environmental protection. The ministry has focused on environmental policies and legal dialogues, as well as guided businesses to better implement environmental protection with new legal documents. In a country with a developed economy, enterprises make material wealth for the community, but also emit waste into the environment if we do not have good sense of environmental management. Then, the environment will deteriorate. For that reason, raising the awareness of women entrepreneurs of environmental protection will be the work of the ministry in the coming time. If businesses think about long-term benefits, they should invest for the environment. When they invest to change equipment and technology, they must first protect the environment, protect worker health, and enhance corporate reputation in the community and among customers. Therefore, if they expect a sustainable future, they should invest in the environment. The Thai government gives priority to transforming business models in line with the country's development goals and visions by effectively building the judicial system in addition to strengthening management and supervision to ensure that environmental standards are fully complied with. The Delta Project 2040, one of Thailand's prominent projects in promoting sustainable development in the business community, aims to address urban issues and land-use planning for the long term. Coca-Cola has increasingly optimised important indicators such as reducing water consumption rate, reducing energy consumption rate, reducing packaging weight: bottle, bottle cap, can body, shrink wrap, carton box and recycled PET. 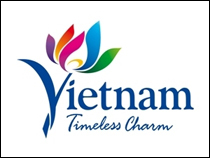 The company has launched waste-free world projects in Vietnam like zero waste to nature, incentives for recycling innovations and plastic action network. Coca-Cola aims to collect and recycle 100 per cent of bottles and cans they sell until 2030 for sustainable community development. In addition, it is targeting women-centred social enterprises: From the women-managed model to the women-owned social enterprise model. 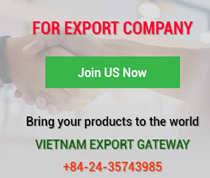 From a small factory in Hanoi, Ho Guom Group has, to date, 15 factories across Vietnam, notably those situated in poor, mountainous areas such as Bac Kan, Thai Nguyen and Thanh Hoa. The company has provided jobs for thousands of women there. Understanding its environmental responsibility, it well treats all garment waste from production stages, like burning rags with new modern technology without emitting bad odour. With a closed cycle, waste is not buried as before. Besides, the company does not use plastic bags to store products when it sells them. On energy savings, the company has used solar energy to reduce energy consumption. It has installed solar panels on garage roofs to collect energy into production. Additionally, it grows vegetables and bean sprouts to ensure the safety of staff meals. Corruption in Business: Is the Enterprise a Victim or a Perpetrator?